For the lover of blues. Brilliant blue agate cut, polished and purchased in Western Australia. Highlighted with square blue glass beads and tiny seed beads. 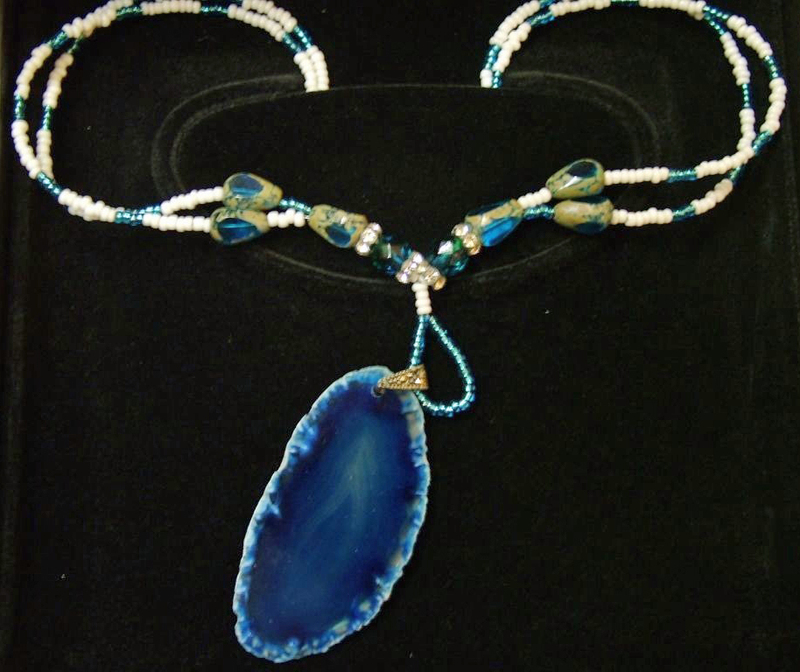 A stunning peice designed to be worn high on the necklace, with the agate falling mid neck.